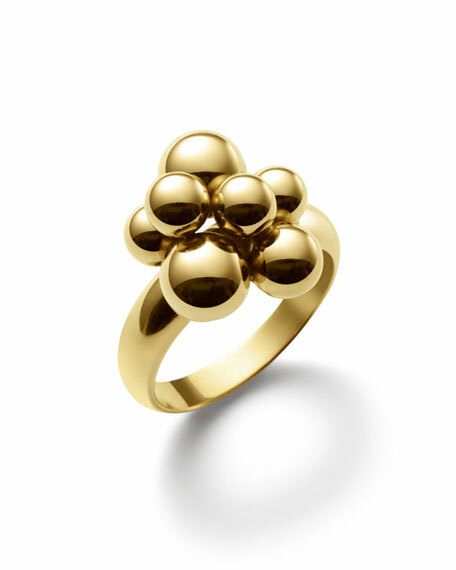 Marina B ring from the Mini Atomo Collection. The Mini Atomo Collection utilizes a unique and ingenious way to assemble spheres. Without threading into a string, the beads are set in a sequence of diameters at specific angles to create the geometric clusters found throughout this remarkable collection. For in-store inquiries, use sku #2018407.